may be out of work, communities risk running out of drinking water and fish and wildlife species are in jeopardy. Many communities are down to 50 gallons a day or less per person for basic sanitation needs. With our inability to predict the effect of the next rainy season, water saved today can improve a region’s water security and add flexibility to systems that may need to withstand another year or more with precipitation below average." "1) The direct application of water to any hard surface for washing. 2) Watering of outdoor landscapes that cause runoff to adjacent property, non-irrigated areas, private and public walkways, roadways, parking lots or structures. 3) Using a hose to wash an automobile, unless the hose is fitted with a shut-off nozzle. 4) Using potable water in a fountain or decorative water feature, unless the water is recirculated. Violations of prohibited activities are considered infractions and are punishable by fines of $500 for each day in which the violation occurs." This is the type of issue that is very controversial in California. Some, including myself, believe that the lack of water is a primary means to discourage growth. In fact, nothing would please the establishment more than to see the population shrink to pre-1960 levels. If less water is available, people will eventually leave the state. Perhaps this explains the foot-dragging and roadblocks in the way of any serious water projects. Whether proposals involve new dams, desalination, or ceasing water-intensive agriculture e.g. rice farming, all are met with fierce opposition. California has come a long, long way from the days of diverting the Owens River high in the Sierras through an aqueduct into Los Angeles (in 1913). Yet another river was partially diverted to Southern California, the mighty Colorado River of Grand Canyon fame. Those days brought surplus water and millions of people. No more. The fact is, though, that only four or five years ago there was a surplus of snow, and water from reservoirs was intentionally sent down-river into the oceans. This was done to make room for the coming snowmelt and runoff. To go from a surplus where water is wasted in that fashion, to extreme drought only four year later is a clear sign of incompetence or worse, deliberate imposition of water shortages. 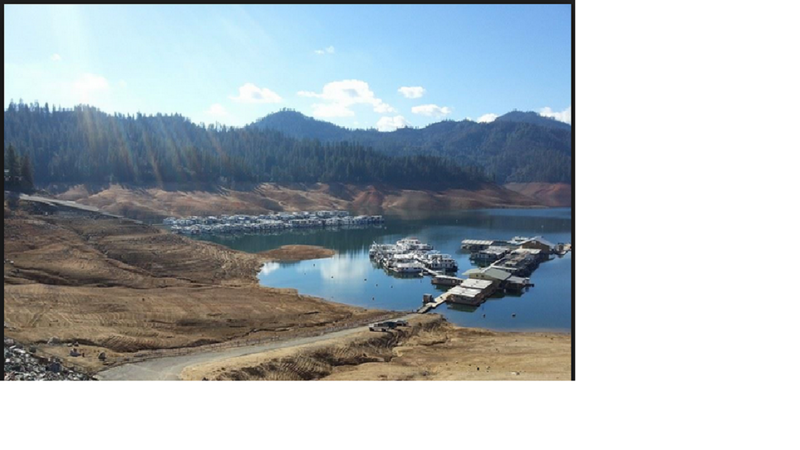 If, and it is a big if, the snows are below average again this winter (2014-2015), California will experience water rationing as it has seldom seen, if ever. The ENSO predictions are still 70 percent for an El Niño this winter as per NOAA. Only time will tell. For the Fact Sheet from California State Water Board, see link.